As I sit down to write February’s column, the New England Patriots have just managed to secure their spot in the Super Bowl for a third straight season. By the time you read this, we’ll know for sure if they return home to Boston with the ring this year or go down in defeat to the Rams, but ­— love them or leave them — you can’t deny the Pats’ singular focus and drive. The team has a clear vision of where they want to go, and with Bill Belichick and Tom Brady at the helm, they don’t waver from it. 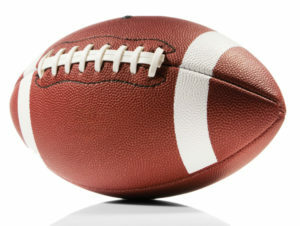 Do you know what your company’s Super Bowl is? Do you have a clear vision for your team? Just as important, does your team know what that vision is? Do you have the discipline to keep working toward it? In my experience running Grunder Landscaping Co. (GLC) for nearly 35 years and coaching and consulting with thousands of landscape pros over the years, the concept of and need for a company vision is as clear as mud. Sure, we all want to succeed and make money, but many of us don’t have a more specific destination in mind. And for many of our teams, it’s blurrier still. Why is this a problem? Because without a clearly articulated vision, you have no filter to run decisions through, and your team has no larger principle or motivation to organize around or work toward. Instead, you find yourself endlessly distracted by each new opportunity that presents itself or derailed by each new problem that arises. You can’t focus on the bigger picture because there is no bigger picture. Years ago, before we got smart about our vision at GLC, I fell victim to all of this and more. I would bid on jobs that weren’t a good fit for our expertise or capacity and then scramble to deliver if we somehow won them. Every weekend, I would read a new business book and then eagerly stride in Monday morning with a whole new game plan for my team, leaving them whiplashed week after week. I’d see an opportunity to make money offering another product or service — selling Christmas trees, cleaning driveways, peddling gift baskets — and leap right in without ever really considering if it was something I or my team could do well or even wanted to do. Now, truth be told, I can’t honestly say I am not guilty of some of this behavior still; most entrepreneurs have an ongoing thirst for what’s new. But I can tell you that having figured out a vision for GLC — to be recognized by our clients, our team members and experts in our industry as the best landscaping company in our market area — has helped me and my team to focus. It’s crystalized who we are and who we don’t want to be. It’s given us an inspiring goal to continually strive toward. It’s empowered my employees to put the brakes on me when necessary. And it’s given me as the CEO a litmus test for every significant decision I need to make: Will it help to get us recognized as the best, or won’t it? Does it align with our vision, or doesn’t it? If the answer is no, I know I need to pass. Use the slower days of winter to really dig in and think about the vision you have for your company. Identify what your Super Bowl is, and help your whole team drive toward it this year.